A new year and new hot takes on the first season of anime for winter 2019. Running down the Anichart.net listings from least to most popular, they help you sort what shouldn’t be missed, what might be ok, and what you should probably avoid. What shows are you most excited for? Let us know on Twitter and Facebook! 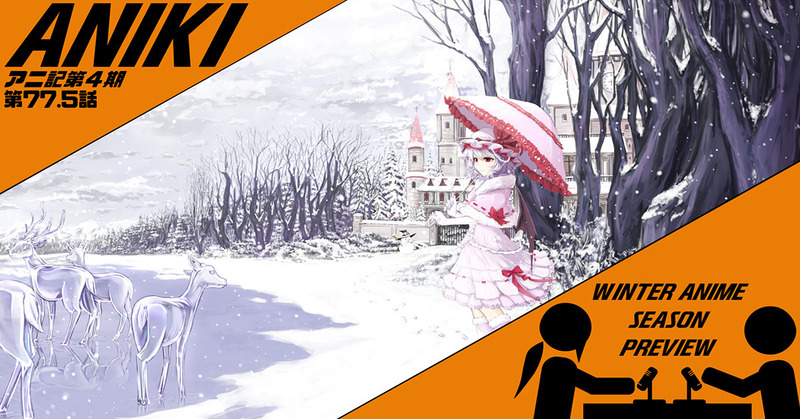 Our picks for consideration for the Winter 2019 anime season. Click the links to go to where you can watch or get more info.